Dash Digital Media is looking for a Social Media Manager. If you meet the requirements below, you will be eligible to apply via Digital Marketing Community. Drive strategies for growth of traffic to websites. Work with tracking and monitoring tools to analyze performance. Drive and procure content tailored for various social media platforms to communicate to relevant audiences. Provide unified and cohesive brand messages through content cross-pollination strategies across platforms. Utilize 3rd party community audiences to grow social media channels. Report to brand entities in respect of social media targets and revenue attribution to social marketing strategies. Bachelor’s degree in media, digital, communications or a related field. Minimum of 4 years of experience in a digital marketing agency or in an in-house role. Proficient knowledge of using social media tracking and reporting tools such as (Hootsuite and Socialblade). Extensive understanding of dealing with various social platforms such as (Facebook, Twitter, Instagram and LinkedIn). Advanced working knowledge of (Google) and its suite of online applications. Ability to handle multiple projects with changing priorities. 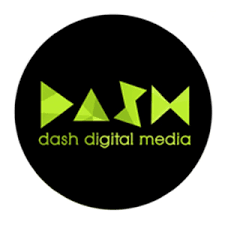 Dash Digital Media is a specialist marketing agency within the health and fitness industry.